Picking a favorite among identical twins is never easy; just ask Kimmi Wernli. 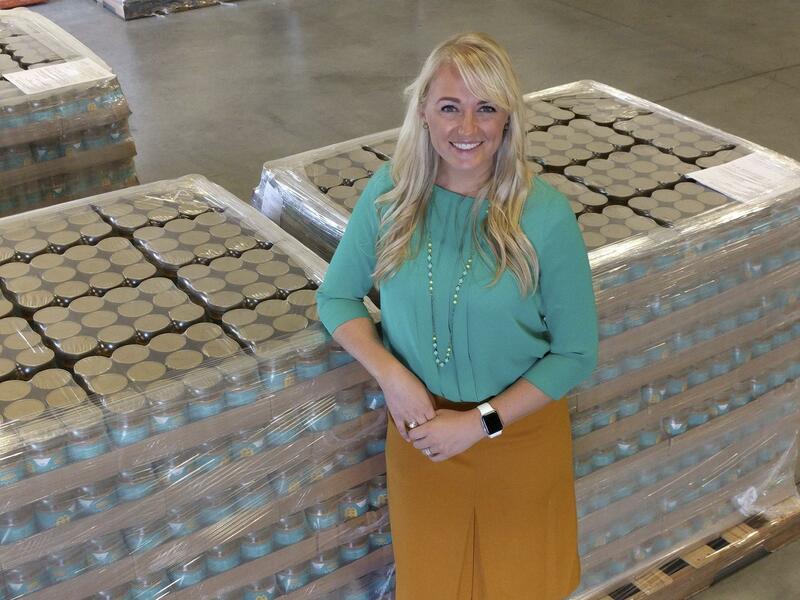 Wernli, 35, is the second-generation family owner of Krema, the peanut-butter maker based in Plain City. By the end of this year, the name Krema will be only on the company, no longer on its peanut butter. The brand will be just Crazy Richard’s. It wasn’t easy to push aside the brand that her father, Richard Sonksen, had bought decades ago and that is now distributed nationally. “At first it was really scary,” Wernli said. Wernli took over the company from her father in 2016 with the goal of modernizing it, updating the brands and introducing new products. One thing that struck her was that Krema and Crazy Richard’s are the same product with different labels — even though fans of the brands often argue with Wernli that one is superior to the other — and that supporting both brands didn’t make sense. She also recognized that Krema had stagnated while Crazy Richard’s was more popular than ever. At tasting events, with both products on display, it was no contest. Quick note: Crazy Richard’s is not named after Sonksen; he bought the brand from a Philadelphia man also named Richard. The transition has been a yearlong effort, with Wernli first winning support from Wal-Mart, which carried both brands, and then from Kroger and Giant Eagle, both of which carried only Krema. None of the conversions was a hard sell, but as Krema faded out, everyone was anxious. Jennifer Williams, owner of Weiland’s Market in Clintonville, is sure that sales of the peanut butter have slowed. Weiland’s carried the Krema brand before the switch. Krema has tried to educate retailers and consumers, and Wernli said those efforts have worked so far. Giant Eagle carried Krema in its central Ohio stores and in some in Cleveland and Pittsburgh. Crazy Richard’s got a warm response. Although the change caused a dip, sales now are growing, in no small part because of a doubling of online sales resulting from a focus on the company’s presence on Amazon. Wernli declined to give an annual sales figure, but Krema sold 3 million jars of peanut butter last year. The company also has branched into powdered peanut butter, which is popular for making smoothies and shakes, and into single-serving packets of peanut butter, all under the Crazy Richard’s banner. None of the peanut butter is made locally; most of it is produced and packed in Georgia, near the source of the peanuts. The Krema peanut-butter company does not own the Krema Nut Co. on West Goodale Avenue. The two parted ways many years ago. Krema is most popular in the Midwest and on the East Coast: Columbus and Philadelphia lead sales. Then there’s the age-old question: crunchy or creamy? Turns out, it depends where you live.